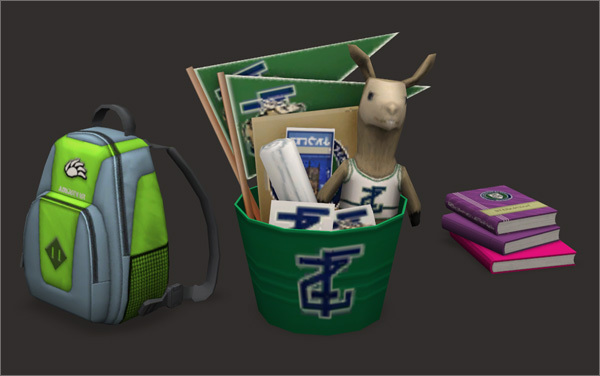 To those of us who have opted to stick with TS2 can still enjoy some of the new goodies that all the TS3 kids are getting and that makes me one happy camper. Spruce up your dorm rooms today! Everything except the radio (which requires Apartment Life) are non-functional decor items but come on, we all love clutter right?! Exactly. They do indeed look great, thank you for the link. I love the backpack, it looks really good in game and there are so many colors to choose from.